Every time I stand in front of my students my goal is expose my students to different instructional methods so that they will able to compete with students in and outside of our district. I have always wanted to implement Project Based Learning but never had the opportunity to do so until last year. 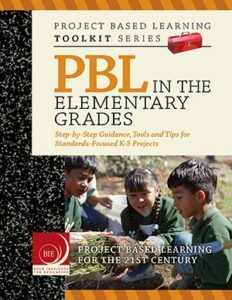 So during the summer I attended a session on PBL at a conference in my school district. The presenters gave us so much information on how they got started with Project Based Learning that it was overwhelming. In addition to the information the presenters introduced us to the Buck Institute. This website has wealth of relevant information and resources to help teachers with the implementation of Project Based Learning. After attending the session I was excited about the possibility of being able to implement PBL in my classroom. Then reality set in! When I started planning I realized that I was at a disadvantage because I was one person trying to create another instructional path for my students. Also, I knew that I my students wouldn’t be able to jump feet first into Project Based Learning because they had not be exposed to this kind of learning. 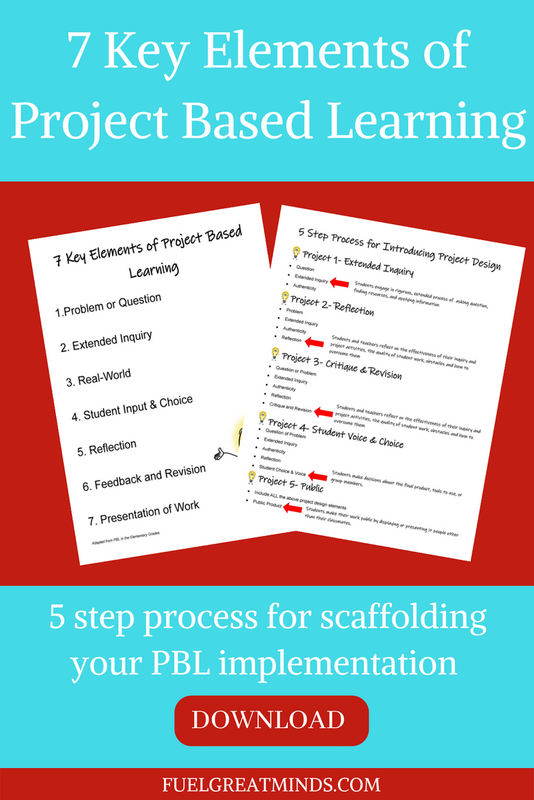 I’ve looked high and low for resources that scaffolded PBL implementation but to this date I haven’t found any. So, I decided to create a 5 project implementation for the 7 Elements of Project Based Learning where each project focuses on critical piece of PBL. Each 2 week project focuses on one critical component of the 7 elements. Students give, receive, and use feedback to improve their process and product. Students make decisions about the final product, tools to use, or group members. Students make their work public by displaying or presenting it people other than their classmates. There’s not a limit on how many projects you have to do at the each scaffold because the goal is teach the students how to independently create a project with the components that are being introduced. These scaffolds aren’t set in stone because different students respond differently to content. Right now I’m still in Summer mode but I can’t wait until I get back to school to start so that my students and I can start on our first project!